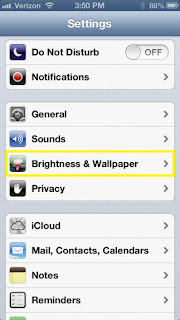 The iPhone automatically adjusts screen brightness based on ambient lighting, but it doesn't work as well as some would like. Luckily the ambient light sensors can be manually adjusted so that they behave correctly. 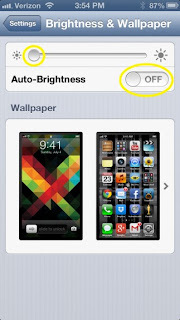 By following a few easy steps, Auto-Brightness can be reconfigured to correctly respond to changing light conditions. Users can switch Auto-Brightness off completely if they wish, but we recommend spending a couple of minutes resetting it and leaving it on for the best experience and to prevent eye fatigue. 1)To begin the setup process, tap Settings. 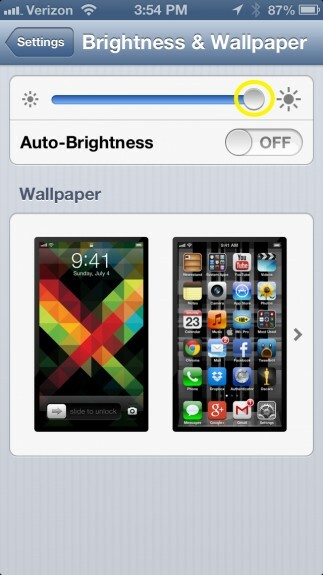 2) Scroll down and select Brightness & Wallpaper. 4)Next go into a dark room with your iPhone and turn Auto-Brightness OFF. With Auto-Brightness disabled you can now set how the brightness level will respond in the dark. Set the level to how bright you would like the display to be in the dark and wait a few seconds for the settings to save. 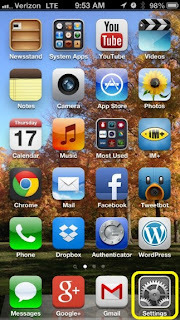 5)Turn on a flashlight and point it at a close distance towards the front facing camera of the iPhone. That's where the light sensor is present. Adjust the brightness slider so that it is at full or close to full brightness. This way the Auto-Brightness will increase when outside on a sunny day. Once the slider has been set for a bright setting wait a few seconds for the new configuration to save. 6) Either turn on the light or leave the room and turn Auto-Brightness ON. 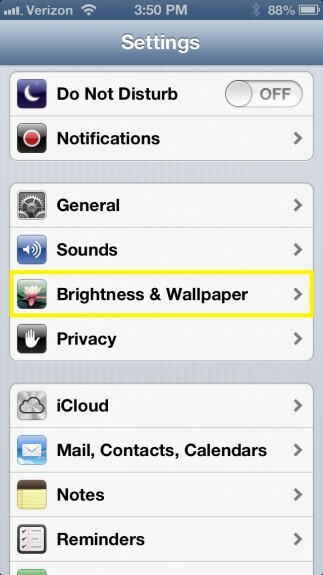 The new settings should be applied and you will see the brightness begin to adjust. This new Auto-Brightness configuration should help save your battery life by keeping the display at a lower brightness. 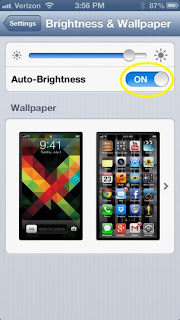 By resetting Auto-Brightness this way, it can help solve those cases where the setting does not seem to work like it should.